End to free overnight parking at Wal-Mart? 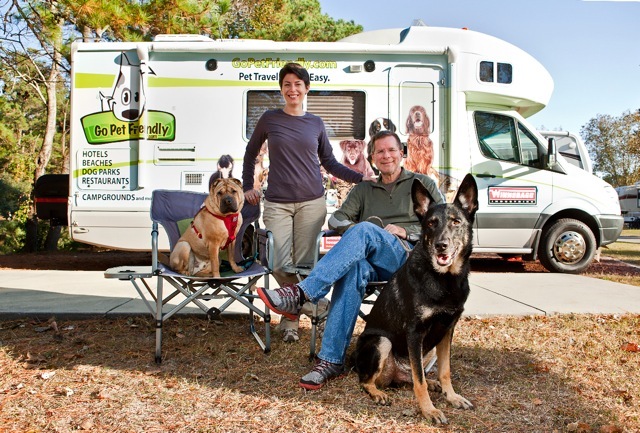 Recent posts on two leading RV online sites bring attention to how the actions of a family of traveling musicians temporarily living in their car at an Arizona Wal-Mart can potentially take away a huge convenience of free overnight parking for thousands of responsible RVers. It seems that on March 24, 2015, wrote Russ De Maris on the RV Pavement Camping blog: “An episode involving police and ‘Wal-mart campers,’ has left one man dead, a police officer shot, another man hospitalized, and a number of family members in jail. 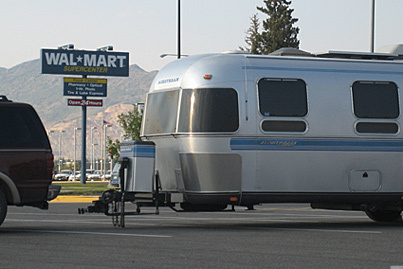 The Cottonwood, Arizona confrontation has also rung up fears that retail giant and RVer-favorite, Walmart, might consider shutting down overnight parking at their stores.” Read more on RV Pavement Camping by clicking here. Greg Gerber, editor of RV Daily Report, writes in the RVTravel.com newsletter: “What turned out to be a wonderful perk offered by Wal-Mart to RV owners everywhere, will come to an end because some idiots opt to use Wal-Mart as a campground, rather than as a safe place to park an RV for a few hours to catch some sleep.” Read more in Gerber’s editorial by clicking here on RVTravel.com. In the six years of almost full-time RV-ing, Jimmy and I have never parked overnight at a Wal-Mart, and only twice at a casino; however, we very much appreciate the fact that if we needed to park there in an emergency, the privilege was available. 1. Obtain permission from a qualified individual. 2. Park out of the way. 3. No awnings, chairs, or barbecue grill. 4. Avoid using slide-outs if at all possible. 5. Do not use your leveling jacks on asphalt. 6. Limit your stay – one night maximum! 7. Purchase gas, food, or supplies as a form of thank -you when feasible. 8. Always leave an area cleaner than you found it. Everyone seems to be overlooking the fact that trouble-making family were NOT RVers. They were camping in a vehicle and the incident happened inside the Walmart. If actual RVers are “camping” at Walmart for several days, then shame on them. If the problem is a group of homeless “camping” in the parking lot, then let’s call it what it is and take care of the actual problem. People reporting this and calling the troublemakers RVers are actually contributing to thoughts of ending the “overnighting” benefit responsible RVers use.